And it’s here, brand new episode of Experiment by your host Allex! After two weeks it’s time to reveal again more deep-tech-progressive house music from our favourite artists such as Nora En Pure, Vanilla Ace, Dosem, Marc Marzenit, King Unique and much more! 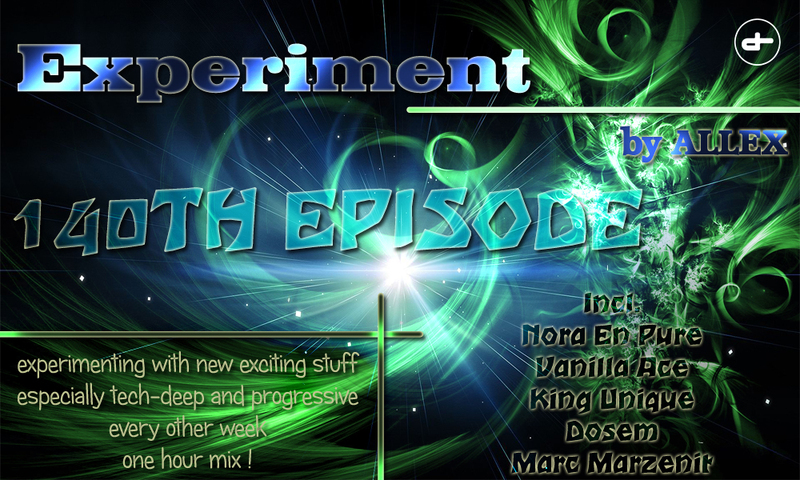 Just tune in and enjoy some relaxing and energic tracks!